Hamas and Israel should immediately stop using explosive weapons in populated areas as it puts civilians at risk of death and injury, damages infrastructure including homes, hospitals and schools, and escalates political tensions. The recent increase in explosive weapon use indicates a slide towards conflict that needs to be constrained. Over the past days Hamas has intensified rocket fire into Israel, hitting homes and creating an atmosphere of fear among the civilian population. 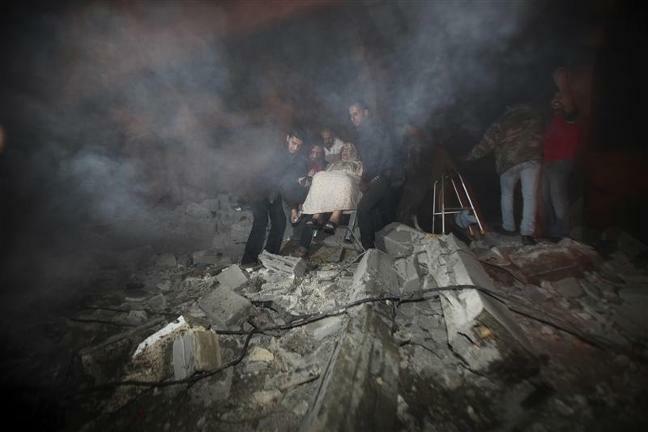 Three people were killed when a rocket hit the top of a four storey building in Kiryat Malachi causing it to collapse. There are also media reports that rockets hit a house and another rocket landed close to a school. Israel has said that 200 rockets have been fired into Israel by Hamas. Israel has responded with aerial attacks dropping bombs over Gaza city which have reportedly killed at least 15 Palestinians, of which eight are reported to be civilians and include a pregnant woman, an 11-month old boy and three children. Medics have reported that 130 people have been injured. Explosive weapons use blast and fragmentation to kill and injure people in the area where they detonate, as well as to damage objects, buildings and infrastructure. When used in populated areas they tend to cause high levels of harm to individuals and communities. Destruction of infrastructure vital to the civilian population, including water and sanitation, housing, schools and hospitals, results in a pattern of wider, long term suffering. Victims and survivors of explosive weapons can face long-term challenges of disability, psychological harm, and social and economic exclusion. Whilst any use of explosive weapons in populated areas is likely to put civilians at risk, weapons with wide area effects – such as rockets, artillery and large aircraft bombs – pose the greatest threat. In Syria this year, the use of such heavy weapons in populated areas has been recognized as causing a humanitarian crisis and been subject to international condemnation. The recent explosive weapon attacks out of and into Gaza recall the 2009 conflict that saw major civilian harm. The Ministry of Health in Gaza estimated that 1,400 people were killed and 5,600 were injured during that conflict. Many of the seriously injured will be affected for life. The then Head of the ICRC, Jakob Kellenberger commented that the use of heavy weaponry would have made it impossible to distinguish between civilians and combatants.